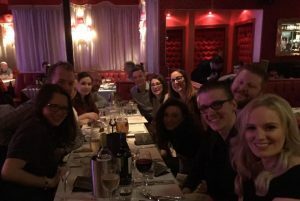 Team Stealth enjoying a Murder Mystery evening at the Cabaret Supper Club, Belfast. This was to welcome our new team members Catherine, Rab, Rebecca and Mark. Great fun!